Our apprentice Tom Wiggins shares his experience during his second week at the Workshop. Fergus also demonstrates how to cut the letter "I". 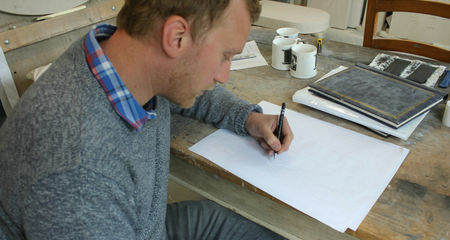 Our new apprentice, Tom Wiggins shares his experience in the first of a series of blogs on his Diary of a Letter Carver. 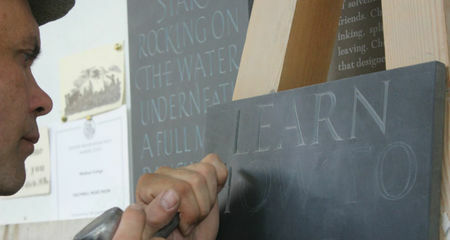 Capturing in great detail, the carving of letter D in slate. 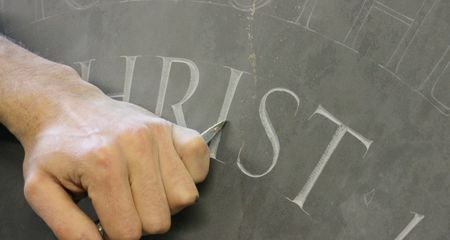 This video gives you a feel for the fluidity of the chisel with the hand, and the accuracy and attention to detail that is required to carve letters by hand. 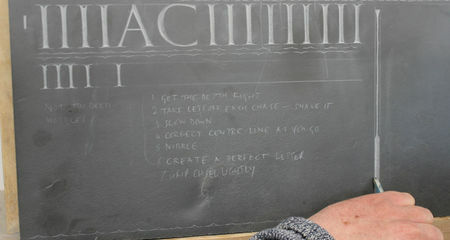 Last October we had a visitor, a self-taught letter cutter to our workshop for three days. He has been kind enough to share his experience with us in this blog post. 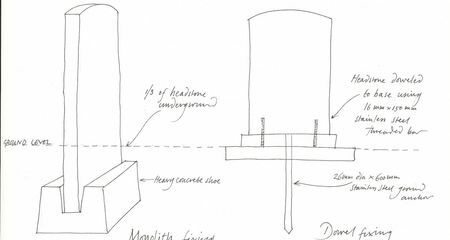 Gravestone installation - monolith or dowel? Gravestone installation is a very important part of my work; I prefer to install all of my gravestones myself using the Monolith fixing method wherever possible. Here I explain how we fix our headstones, and I describe the pros and cons of monolith and dowel (pin) fixings. People often ask me about cleaning gravestones, and the answer I usually give is not to do so unless absolutely necessary! 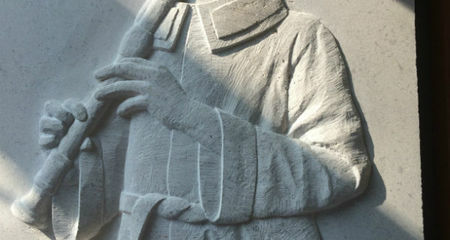 If you are determined to clean a gravestone, I share some tips in this article. 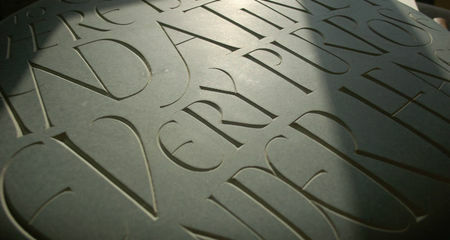 Video of hand carved lettering in stone carved in Portland limestone. 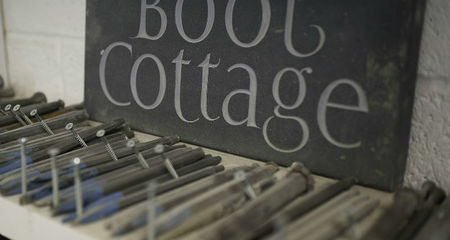 My list of the most important tools needed for letter carving in stone- a good starting point if you are beginning.